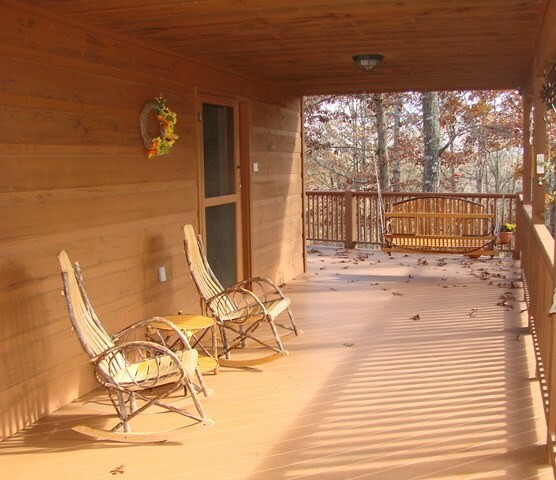 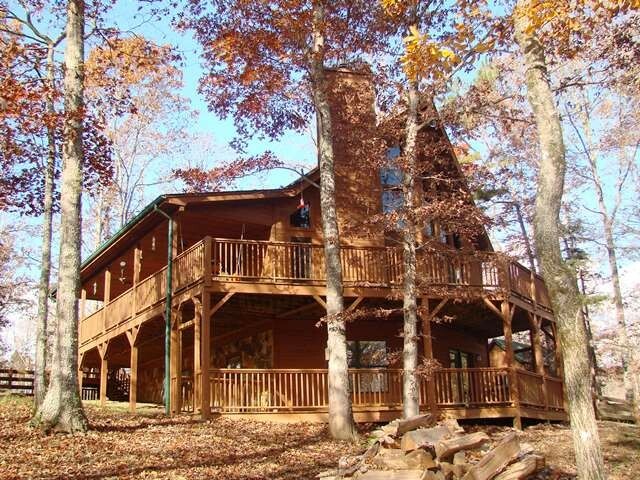 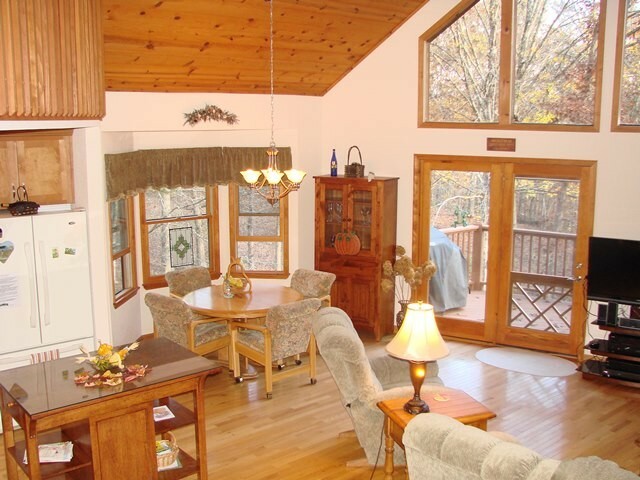 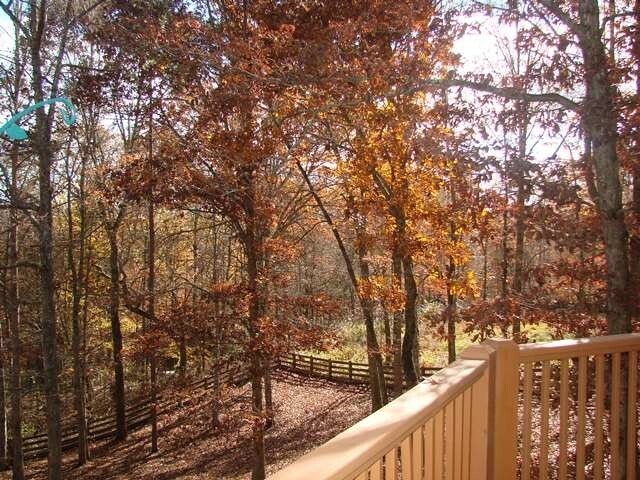 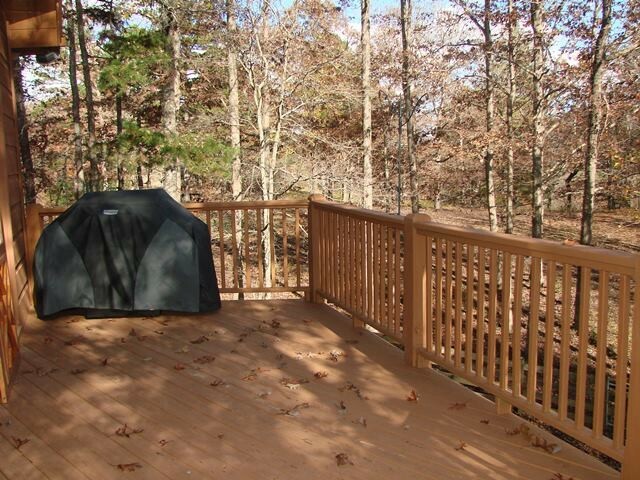 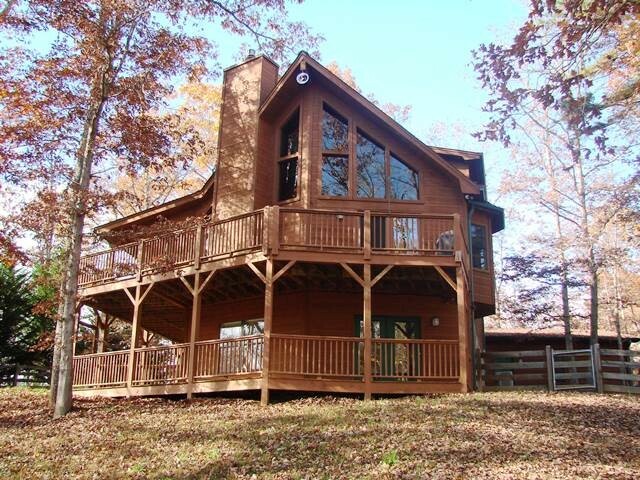 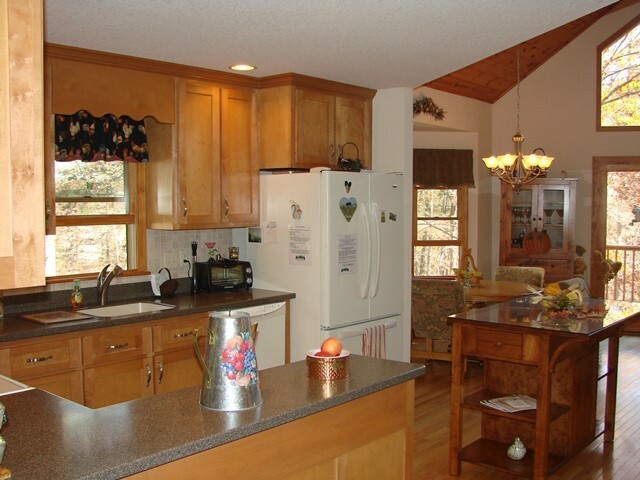 Step into comfort in this large 2 bedroom 3 bathroom cabin surrounded by large trees and a big yard only minutes from downtown Murphy and Harrahs Casino. 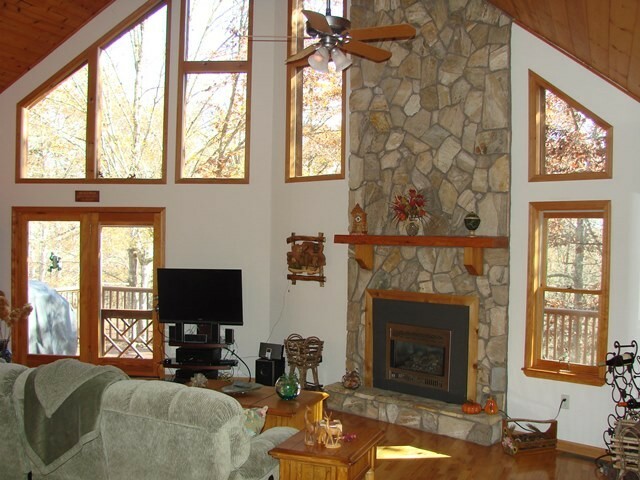 Walk into the spacious great room with gas fireplace, flat screen TV, comfortable furnishings, fully equipped kitchen and lots of windows that allow you to gaze out over the scenery. 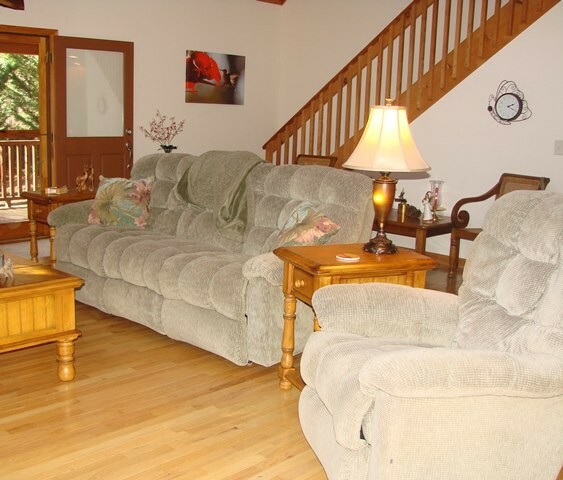 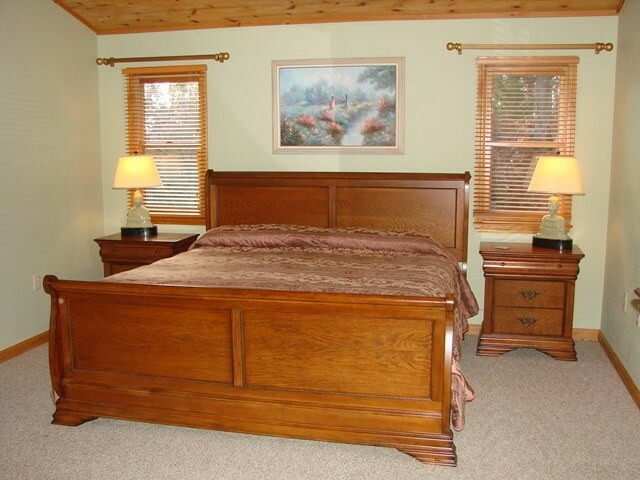 On the main floor is the guest bedroom with Queen size bed and a full bath is just steps away. 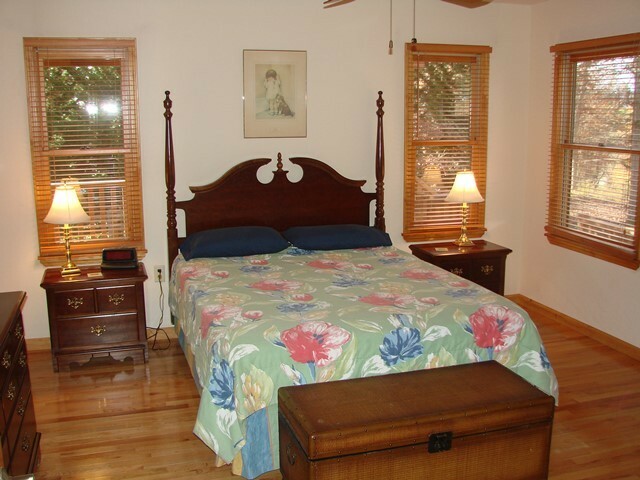 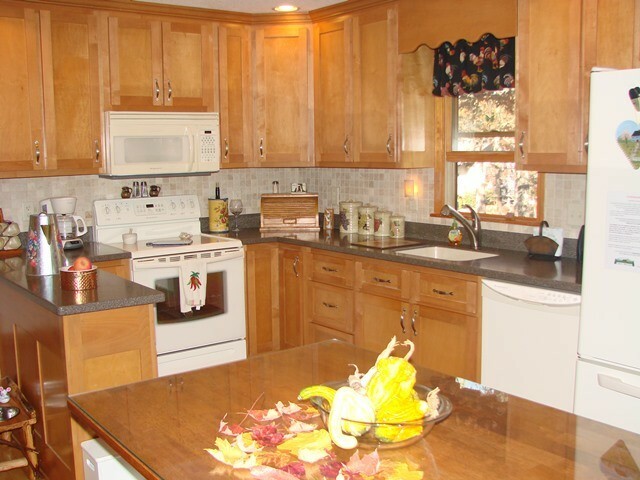 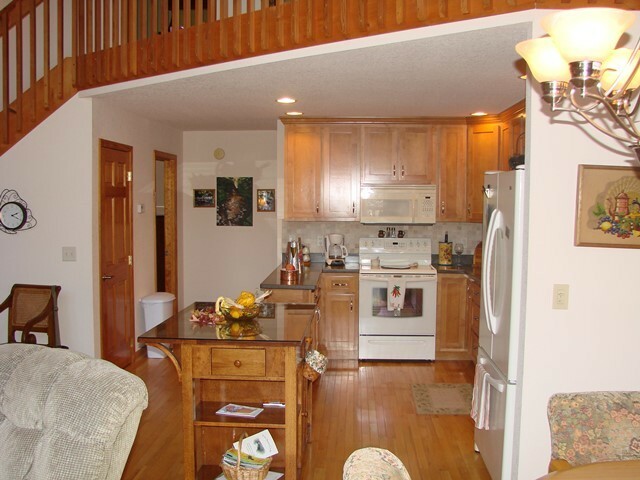 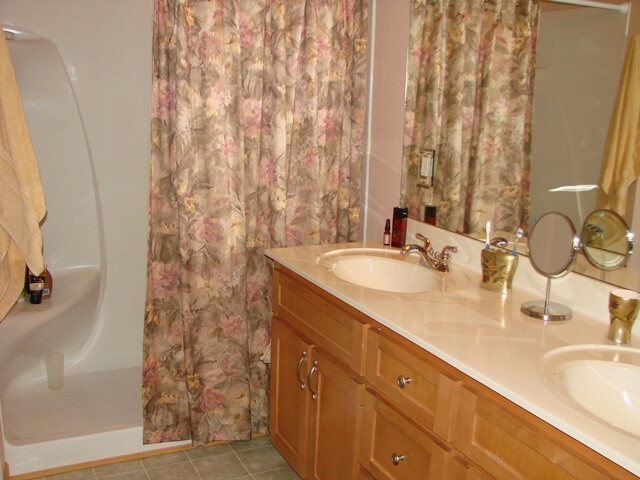 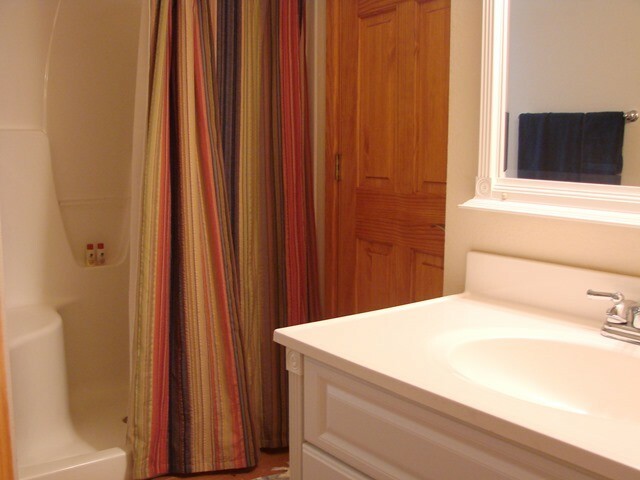 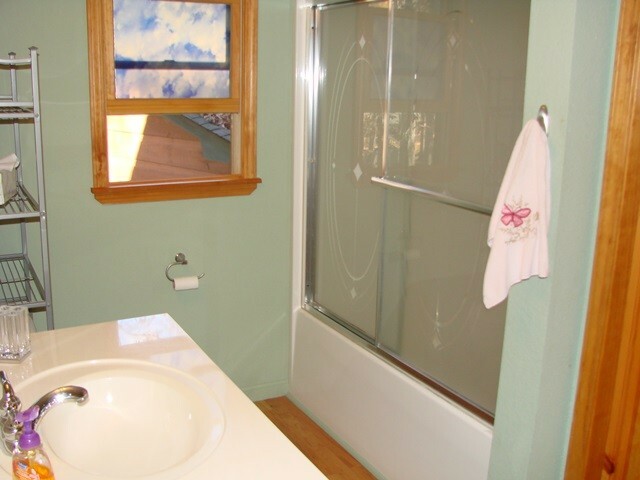 Upstairs is the master suite with King size bed, full bathroom with double sinks and shower. 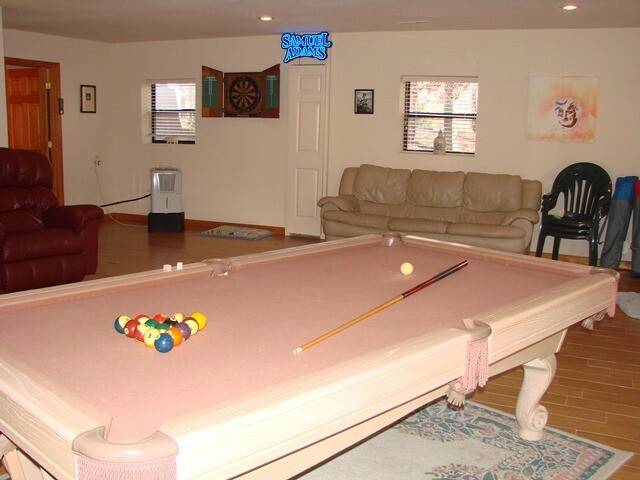 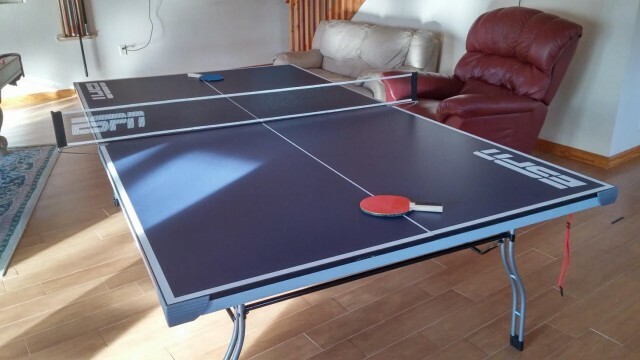 Downstairs the whole family can gather and enjoy a game of pool or darts. 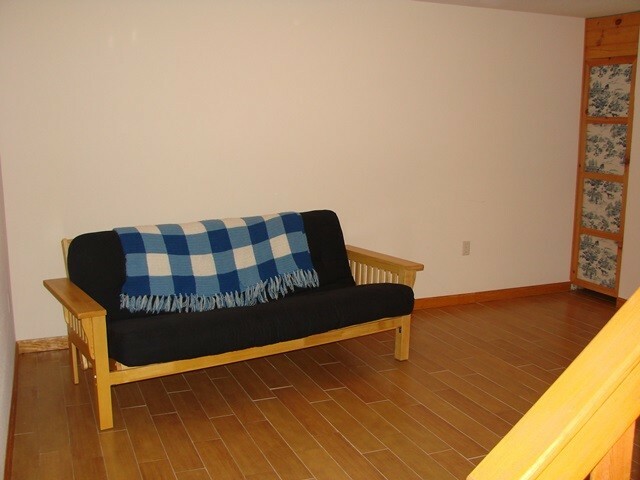 Extra sleeping is also downstairs with a futon and another full bath. 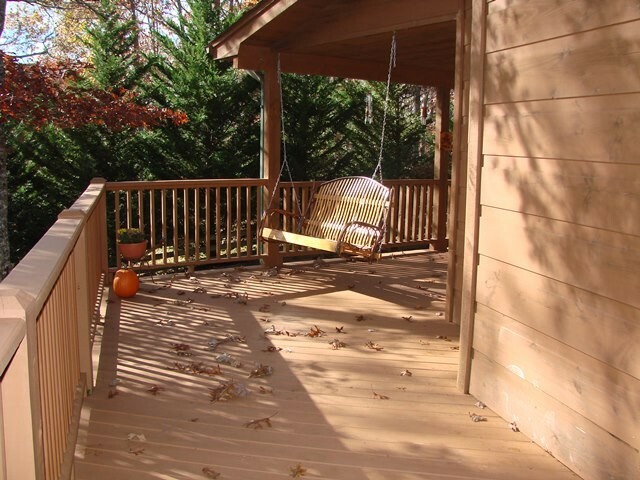 Walk outside and enjoy the porch swing, roast marshmallows over the outdoor fire pit. 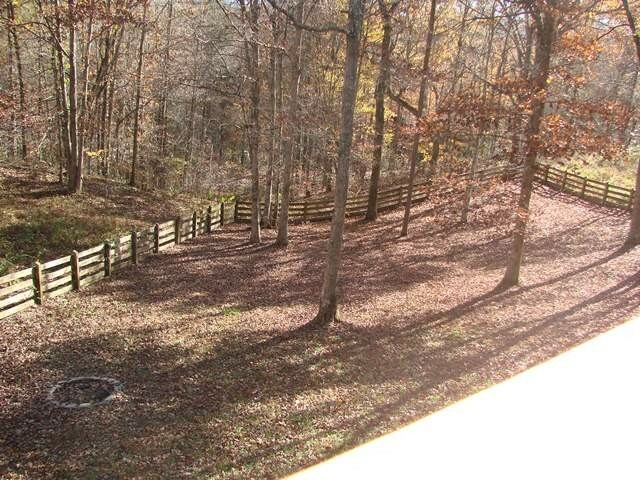 Internet also available!